The Information Technology Officer reports to the IT Manager and monitor and maintains the computer systems, databases and networks of HJFMRI-Tanzania. The IT Officer installs and configures computer systems, diagnoses hardware and software faults and solves technical and | applications problems, either over the phone or in person. Complete Knowledge and skills on Designing, maintaining and documenting databases with Data Modeling. Provides technical support and routine preventive maintenance to telephone, photocopiers and email requests from users for all PC hardware, software and associated peripherals. Determine and document source of computer problems (hardware, software, user access, etc.). Keeping good track of all IT hardware and software for the organization. Deploys PCs and associated peripherals including new installations and the redeployment of existing equipment. Instals and configure operating systems to agreed standards under the direction of the IT Manager. Maintains the existing PCs and peripherals to standards determined by the Team Leader, by performing upgrades, new installations and carrying out routine procedures. Answer staff questions in person and via phone on all departments supported applications. Asset management to keep a register of all IT equipments using asset tags number. Provide computer orientation to new departmental staff. Undertakes such other work as may be assigned which is consistent with the nature of the job and its level of responsibility. 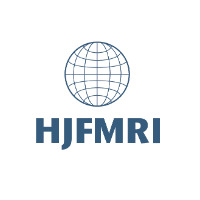 Respects confidentiality in discussing staff and partner organizational matters, also maintains confidentiality of HJFMRI-Tanzania and its project, fiscal and personnel related information. Maintains personal and professional development to meet the changing demands of the job. Undertakes such other duties, training and/or hours of work as may be reasonably required and which are consistent with the general level of responsibility of this job. The following computer proficiency is (are) required: Internet Explorer; Microsoft Access; Microsoft Excel; Microsoft Outlook; Microsoft PowerPoint; Microsoft Publisher; Microsoft Word; Lotus Notes.